Your face is one of the most dynamic parts of your body - it is constantly flexing, emoting, changing, & reacting... thousands of times every day! All of that muscular activity takes a toll on the neighboring skin, and your face is often the first part of your body to show significant signs of aging. In Los Angeles Juvederm is the most popular & effective non-surgical cosmetic treatment for nasolabial folds, smile lines and lip enhancement. Are you ready to look younger & feel better? We are ready for you! for. We’ve proudly earned our incredible 5-star patient rating by making sure every detail is MyBotoxLA uses advanced techniques, years of experience, and an artistic eye to give you the natural results you’re looking designed around your experience. Our friendly staff, sunny office, and dedicated support will keep you comfortable every step of the way.
" Love this place! I will definitely be back! I am so happy with the results I'm seeing from my latest juvederm treatment! Yana is a true perfectionist; I had zero bruising. The staff was just as wonderful; very professional, and made me feel very comfortable. Thank you Yana and Julia! " "Yana is terrific! She is very thorough in her explanation of options and procedures. She is also very calming and professional. The results are awesome!" "My friend recommended me to a specialist named Yana who did a wonderful job! I had a very pleasant experience because she is very knowledgeable and professional. I was really scared, but she knows her stuff and everything was really quick and easy and I LOVE the results. Will Jenny G. be back for sure!!! Great job, Yana!!!" Juvederm Ultra Plus, Juvederm Volbella, Juvederm Vollure – Which one is right for me? It is a precision-crafted smooth gel filler that is used to treat & eliminate wrinkles around the nose and mouth, and in any area of the face where the skin has lost volume. It cannot make you younger... but it can enhance your lips and eliminate wrinkles around your mouth & nose so that no one can guess your true age! It is specially manufactured to have a smooth and natural consistency. It also contains lidocaine topical anesthetic, which provides superior patient comfort during lip injections. It is recognized as a safer & superior alternative to costly lip implants. It replaces the naturally-occurring hyaluronic acid (HA) that is depleted as the skin ages. Losing HA results in your skin losing its youthful volume, allowing wrinkles to appear. This lip plumper is a safe & effective replacement technique for HA loss. The most advanced form is Juvederm Ultra Plus XC. It contains Lidocaine for more patient comfort, just like the Juvederm Ultra XC. Like the lidocaine-free Juvederm Ultra Plus, it's made of a thicker, more viscous formula than Juvederm Ultra. With a higher concentration of cross-linking, it provides longer-lasting results. Other products are injected mid-dermis, but Juvederm Ultra Plus XC is injected deeper into skin layers for more volume. It fills severe smile lines, wrinkles and marionette lines. It's used to add significant volume to thin lips and can reduce or eliminate nasolabial folds around the mouth. It's advanced formula makes it a good choice for facial shaping because it can streamline the jowls and chin for a sleeker, smoother profile. Most patients need just one treatment to achieve full smoothing and line reduction. The amount needed for each patient varies. Results last an average of 12 months. In a clinical study, 78% of patients who returned to their provider over a year after their first treatment still showed improvement. Juvederm Volbella XC is an FDA-approved filler that is used to add volume to naturally thin lips, as well as to smoothen out vertical lip lines to create a more defined, youthful look. Made from hyaluronic acid, this lip filler adds volumes to the lips in a more subtle manner, giving your lips a more natural smooth and voluminous look. Weight changes, sun exposure, repetitive facial movements, and the pull of gravity can all play a role in the aging process, accelerating the appearance of facial lines and wrinkles. Juvederm Vollure XC is the first long-lasting dermal filler approved by the FDA for the smoothening of parentheses lines that extend in the shape of parentheses from the nose to the corners of the mouth. Unlike other dermal fillers, Juvederm Vollure XC produces more subtle but long-lasting results and is therefore the perfect choice for individuals who desire natural results. It's approved by the FDA for adding considerable volume to lips. While most products offer moderate lip enhancement and correct moderate smile lines, wrinkles and marionette lines, Juvederm Ultra Plus XC fills severe wrinkles, smile lines and marionette lines. Juvederm Ultra Plus XC contains the local anesthetic lidocaine to reduce discomfort during injection. It also contains 0.3% lidocaine for patient comfort, and offers help for severe facial lines and creases or nasolabial folds, while other products only offer moderate lip enhancement. What Are the Benefits of Juvederm Volbella XC? It improves lip fullness, giving you a plumper pout. It smoothens the appearance of vertical lip lines, as well as the lines around the mouth. It enhances the cupid’s bow in your lips, giving you a gorgeous voluptuous pout. It fills in the corners of the mouth, smoothens upper lip lines, and defines lip contour to offer you a more youthful appearance. Adds volumes to nasolabial folds, which are also known as parentheses lines or laugh lines. Formed due to repetitive facial movements and aging, these lines extend from the corners of your nose to the corners of your mouth. Softens marionette lines, the lines that run straight downwards from the corners of the mouth, making you look unhappy. How Is Juvederm Volbella XC Different From Other Fillers? The primary benefit of using Juvederm Volbella XC is that it produces more natural results as compared to other fillers used for lip enhancement. The subtler, more natural results of the filler can be attributed to its unique chemical composition. It is formulated using VYCROSS, a filler technology used by Allergan. VYCROSS blends different molecular weights of hyaluronic acid to create a soft, smooth gel that produces the same long-lasting results as other fillers but in a more subtle manner. Are You a Candidate for Juvederm Volbella XC? Your lips have lost their smooth, defined look due to aging. You have naturally thin lips and you are tired of using makeup to get a more voluminous pout. You want to correct perioral rhytids (lines that appear around the lips) caused due to smoking or aging. You want to get rid of the downturned lip corners that make you look old and tired. You are allergic to hyaluronic acid or lidocaine. You have a history of severe allergic reactions. How is Juvederm Vollure XC Different From Other Dermal Fillers? Juvederm Vollure XC stands out from other dermal fillers because of its long- lasting, natural results. It is formulated using Vycross technology that blends molecules of different weights to produce a smooth, clear gel. This enhances the malleability of the filler and results in more subtle, natural-looking results. In addition to this, Juvederm Vollure XC is the only long-lasting dermal filler approved by the FDA for the smoothening of facial lines. According to the results of the clinical studies conducted by Allergan, Juvederm Vollure XC effectively smoothes and reduces the appearance of moderate to severe facial wrinkles and folds for up to 18 months. Are You a Candidate for Juvederm Vollure XC? Nasolabial folds, which are also known as laugh lines of parentheses lines, are static wrinkles that appear around the nose and mouth when your face is at rest. Marionetter lines, on the other hand, run straight downwards from the corners of the mouth, giving you an unhappy expression. In clinical studies conducted by Allergan, the results of Juvederm Vollure XC lasted for up to 18 months in individuals over the age of 21. Before the procedure, our practitioner will schedule a consultation to collect your medical history and to determine your suitability for the treatment. In addition to this, they will also discuss your expectations and concerns related to the treatment and provide you all the information you need to make a well-informed decision. They may also take pictures of the treatment area and discuss different options to manage pain during the procedure. If you are particularly concerned about the pain and discomfort experienced during the procedure, our practitioner may suggest using a local anesthetic to numb the areas. During the procedure, our practitioner will inject Juvederm into the treatment area and wait for a few second to allow Lidocaine to produce its effect. They will then inject the filler in small amounts into the treatment area to produce the desired results. To ensure uniform distribution of the filler, our practitioner may also massage the area. This will help produce more natural-looking results. After the treatment, our practitioner may provide you an ice pack to apply to the treatment area to minimize pain and swelling. These side effects last for one week or less. If your side effects do not subside or are severe in nature, it is important that you immediately contact our medical staff. Are There Any Precautions to Observe After the Treatment? it is important that you take the following precautions after your lip enhancement treatment. Prevent exposure to sunlight or intense heat within the first 24 hours after the treatment. Do not perform any strenuous exercises during the first 24 hours following the treatment. In case of excessive swelling and redness, apply an ice pack to the treatment area. Consult with our practitioner if you experience any unusual side effects. Nothing is more satisfying than having an immediate solution for wrinkles and fine lines, and that’s what we offer you at MyBotoxLA. Whether you have wrinkles around the mouth that may you look old and tired to you want to get rid of nasolabial folds and achieve a younger, smoother facial profile, we will help you get just the look you want! 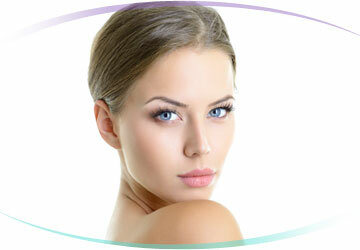 To learn more about our wrinkle smoothing treatments or to schedule an appointment with Yana Pechenik, call us today. Every patient is different, and some will respond better to lip enhancement treatment than others, or may benefit from receiving treatment to additional areas. Call us today for a no obligation consultation and we will provide you with personal details.